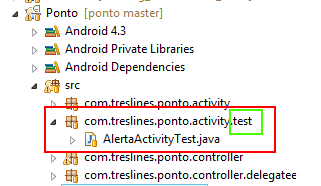 Today i'm gonna show you how to create and run junit tests inside your android project without creating a separated test project. With those tests we will rapidly be able to automate and test the app's logic and some simple UI behaviors. The example below is very straightforward and much more intuitive than other approaches i saw out there. First of all, define in your manifest file the following entries. IMPORTANT: While the definition of the test instrumentation will be placed outside your application tag, the test runner must be defined inside your application tag. That's the cool part of it. 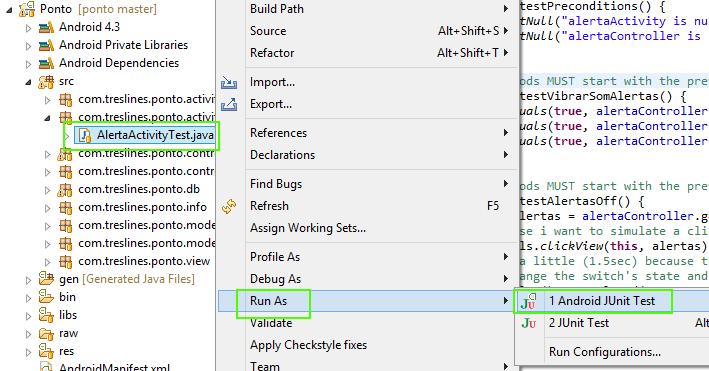 Here you can write your junit tests as usual. Again android gives us some conventions to follow. All test classes must have the same name as the class under test with the suffix Test on it. And all test methods must start with the prefix test on it. If you follow those conventions everything will work just fine. 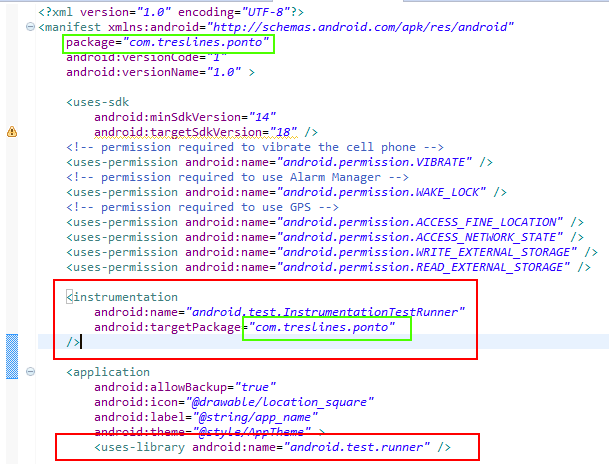 // test methods MUST start with the prefix "test"
The only difference while running junit test in android is that you'll be calling Run As > Android JUnit Test instead of just JUnit Test like you are used to in java. It should be pointed out emphatically that the creation of the default constructor is mandatory.